We do not always eat as healthy and we are all exposed to unavoidable toxic substances which take their toll on our body. Smoking, alcohol, lack of exercise and polluted air ­ we all know the effect this has on our health. But as well medication, pesticides, preservatives & additives (E­-numbers), cosmetics and cleaning products can be harmful to our body. Luckily your body is pretty much a miracle and it can take a beating; a healthy body is great at cleansing itself. We all wish to continue to enjoy life and with that comes the occasional unhealthy choices.As a result, the accumulation of waste is almost inevitable. But here is good news! You can give your body a little help. For your body to effectively get rid of most toxins and waste you will need to give it some time and space. This you do by reducing your food intake and consume highly nutritious juices to give your body the boost it needs. Trust us ­ it will thank you after. During the Juice cleanse you will be consuming the nutrients from apples, carrot, avocados, bananas, oranges, dates, parsley, lemon, pear, blueberries, blackberries, yellow pepper, cucumber, celery, ginger, spinach, kale, beetroot, pineapple, cashew, almonds, hazelnuts, chia seeds, manuka honey, wheatgrass, macha, cocoa powder, cocoa nibs, broccoli stems, barley grass and spirulina. 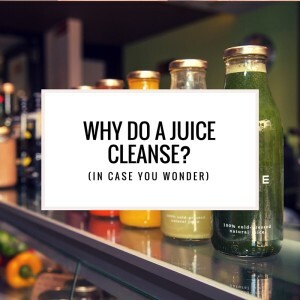 Although in general a juice cleanse will give you more energy and make you feel great, sometimes it might not always be as pleasant ­ so don’t worry if you don’t feel that great! Your body is getting rid of toxins which sometimes can give you unpleasant side effects. Think of nausea, headache, mood swings, etc. Don’t worry ­ this is ok. 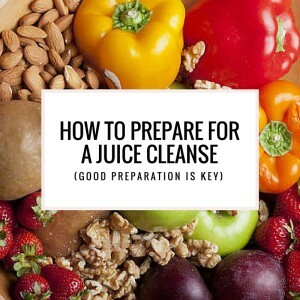 In general, the cleanse is simply a great step to eating more healthy. As you know, everything is about balance. Do you want to experience the benefits we write about? Book your Juice Cleanse now. 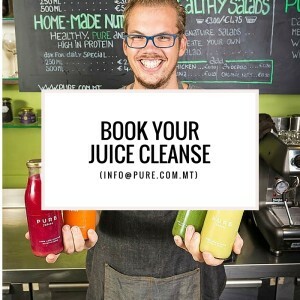 At Pure we offer Juice Cleanses starting from just €20 a day.